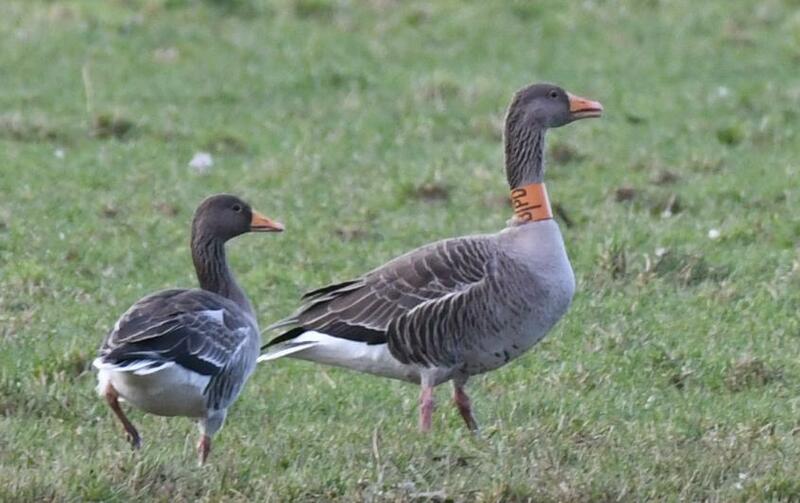 KINTYRE: Strath; 100 Greylags inc a collared bird / orange collar / black text = B|PD (Irish scheme). 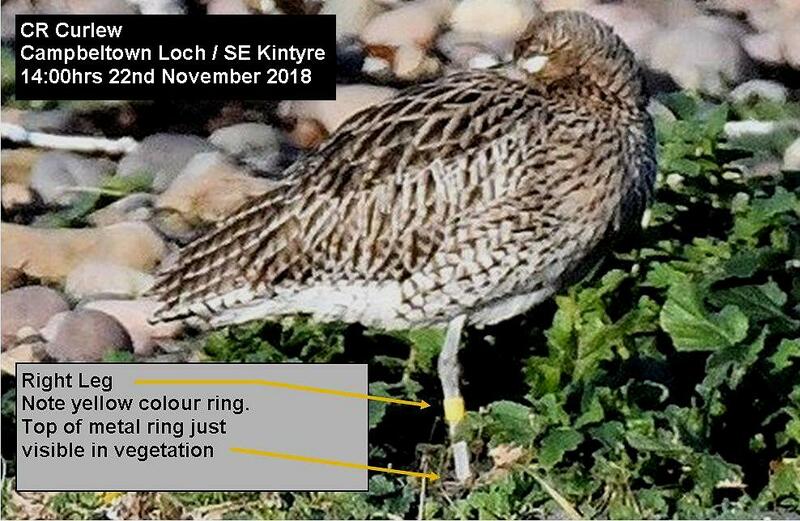 Campbeltown Loch; 169 Oystercatcher, 77 Curlew (Eddie Maguire). 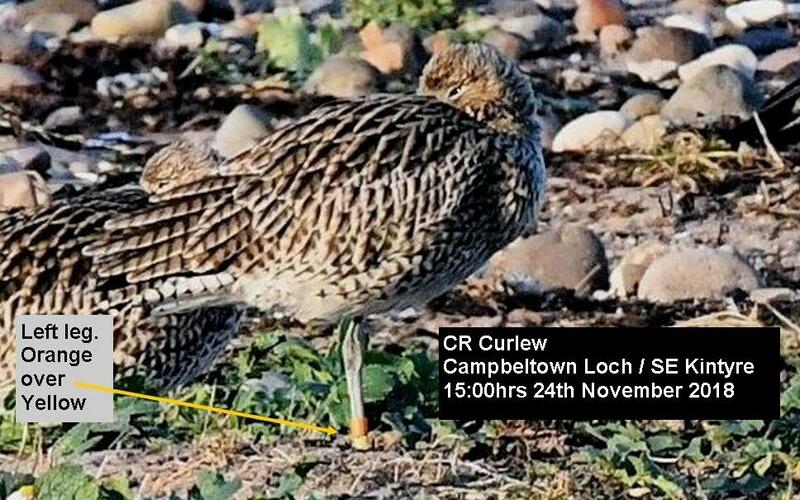 GREYLAG with neck collar – Strath Farm, Kintyre 25th Nov (Eddie Maguire).